"That special someone deserves a special something", now isn't that sentence tricky. “Special something” can be a very dangerous phrase especially if you are buying it for Valentine's Day. So here's to your rescue a list of selected thoughtful gifts that will save the day for you. Cheer up boys, we are serving you love on a platter. With flowers you can never go wrong. Girls love flowers; flowers are flattery. If you know which flowers she likes, your life is so much easier. You just need to pick a bouquet of her favorite kind and write a cute Valentine’s Day note for her. You don’t know her favorite flower? Well, in that case, just get a mixed bunch of her favorite color. You DO know her favorite color, right? If the answer’s no, you might start looking out for another date. No, just kidding. Just go the florist, tell a little about your girl, things she likes, her personality type and all, and the florist should be able to suggest you a bouquet that she’ll love. And here's where you can get good deals and coupons for shopping flowers. This gift may really sweep her off her feet if you get it right. You need to know what brand, what type of beauty products she uses. And if you are not sure of the type or the brand, then perhaps it would be a good idea to choose an exotic spa basket with skin pampering exquisite products. Now that would make a great Valentine’s Day gift. Use coupons to save on the gift basket, it’ll save you some big buck on these otherwise expensive items. Tell her you wanted to get her something as sweet as her, nothing matched but chocolates came the closest, so you got her chocolates. Chocolates are almost customary Valentine’s Day gifts. 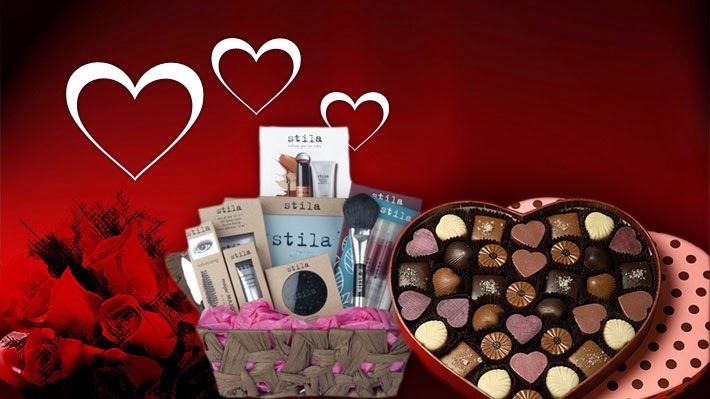 Get a beautifully wrapped hamper or box of her favorite chocolate; she’ll be flattered. Don’t know her favorite chocolate, never mind just pick up a beautiful box or basket. If you have tight budget, check these Chocolate.Com Coupons. Kay Jewelers, Reeds Jewelers or coupons for these stores.